Free range refers to the way a chicken is farmed, and as a result, increases the quality of the eggs and meat. In most cases, the chooks are provided with warm, dry shelter when they need it and open grass to roam over during the day. To define chicken, a chicken belongs to the poultry family, which is a group of domesticated birds, including chickens, turkeys and ducks, that are commonly raised by humans for their eggs and meat. Free-range farming lets the chickens roam freely outdoors for at least part of its day as opposed to being confined to indoors 24 hours a day. This free range farming style gives certain benefits to the bird, when being farmed for it meat or eggs. 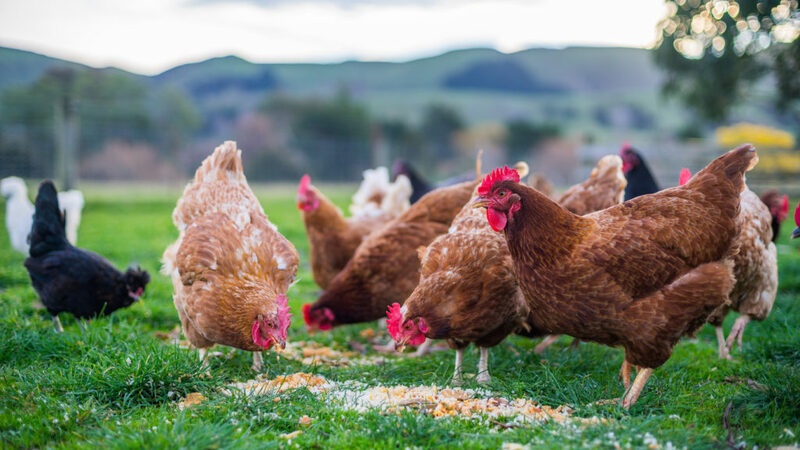 When thinking in terms of chicken meat, free-range farming produces a few key differences, which enhance consumers’ experience of this particular protein. The obvious well being of the chooks themselves – they are happier. 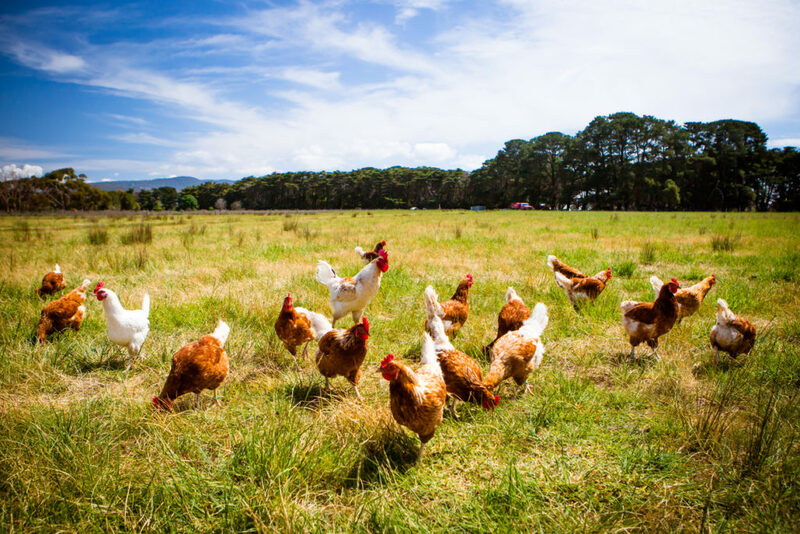 Free Range farming allows the birds to roam freely outside with good access to the pasture, grubs and insects and where they are able to exercise, as naturally and as freely as possible. Free-range chicken offers more complex flavours when cooked. Diners are generally able to tell the difference when served free-range chicken because it actually taste the most like REAL chicken. The taste comes from a mixture of factors including diet and the amount of exercise the birds are able to get daily. This helps develop their muscles and results in better flavor and texture. Free range chicken takes longer to cook than a cage-raised bird because their muscles are properly developed. This needs to be taken into account when following recipes. You will also notice an increased amount of muscle and decreased amount of fat, in free-range chicken. When chickens are able to roam, feed on pasture, and are exposed to sunshine, the proteins develop more naturally and are leaner. This means when the chicken is cooked it won’t shrink. It will actually help the chicken cook consistently because of the small amount of healthy fat which is good for you. You can expect to pay a bit more for Free-range chicken but it’s a small price to pay for the natural lifestyle of the bird, the enhanced flavor of the meat and overall eating experience. Try free-range chicken today, you wont regret it!